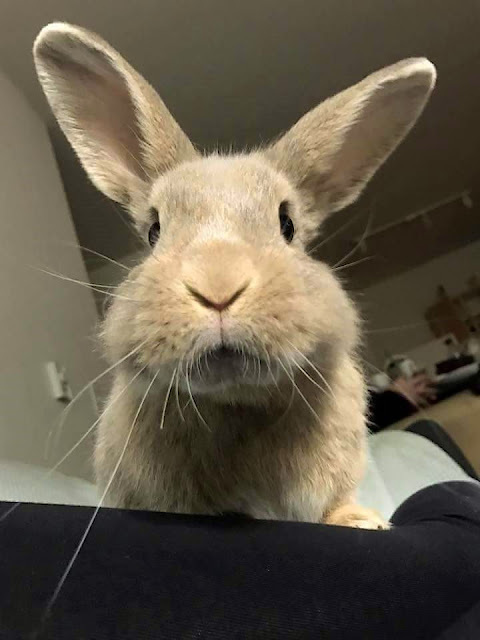 Hoomin, how's my carrotini maker coming along? I'm in trouble. Carrot season is winding down here. I love those whiskers, Carrot! This. If anyone ever asks how we became bunny slaves, just show them this photo, and it should answer all of their questions.